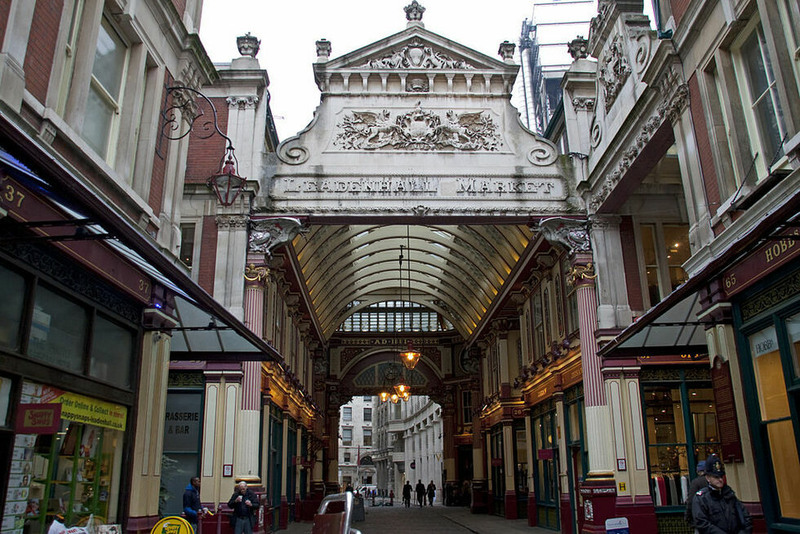 This ornate Victorian marketplace was the setting for Diagon Alley and the Leaky Couldron in the Harry Potter films. 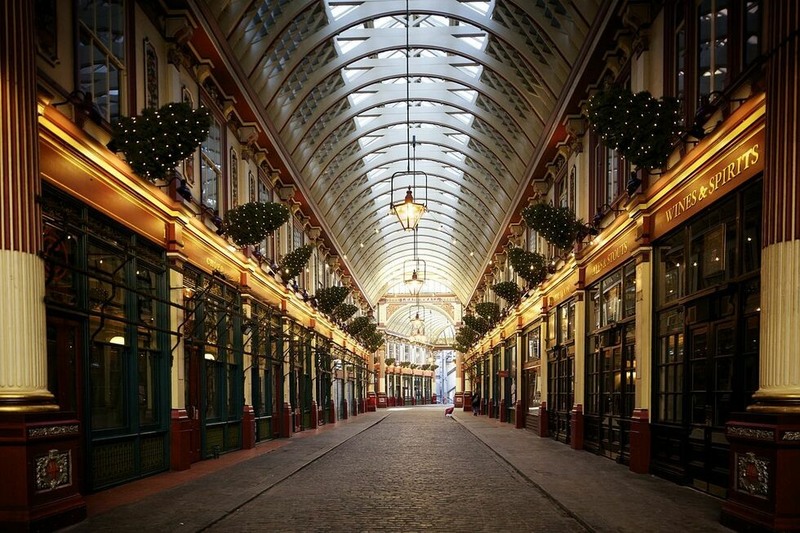 The ornate 19th-century painted roof and cobbled floors of Leadenhall Market, located in the historic center of London’s financial district, make it a rather magical place to do a bit of shopping — even before it played a starring role in the Harry Potter films. 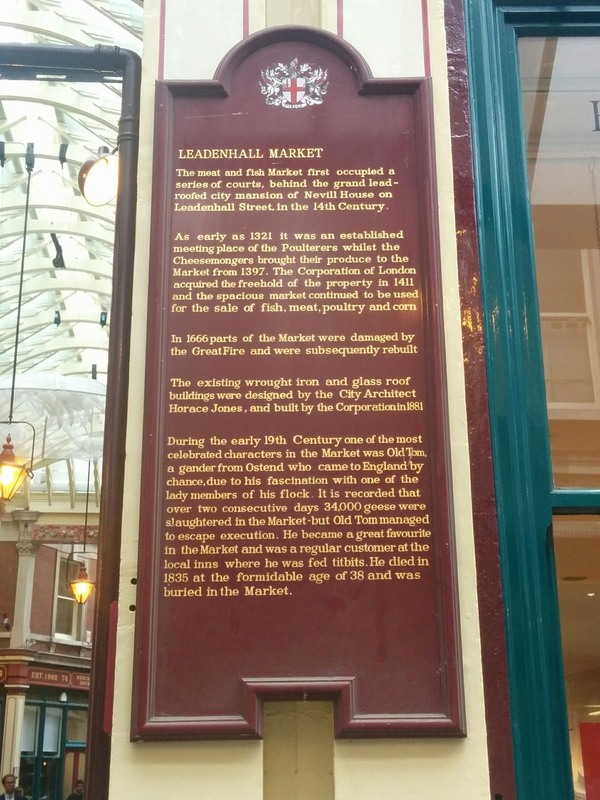 This covered Victorian market is one of the oldest markets in London, selling meat and fish as far back as far as the 14th century. 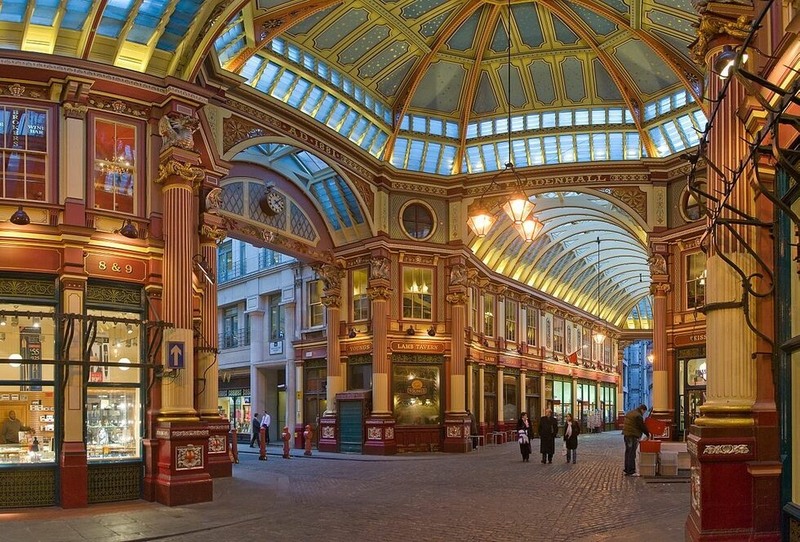 The current green and red roof, however, was constructed in 1881 and made Leadenhall Market a popular attraction in London. 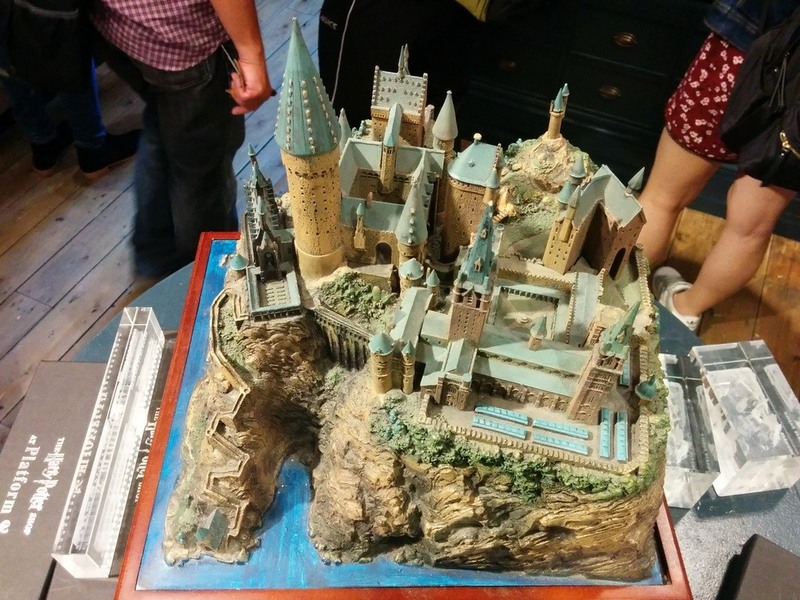 The marketplace was featured a few times in the Harry Potter series — it was the film location for some of the original exterior shots of Diagon Alley, the cobblestoned shopping hub of the wizarding world where Hogwarts students can stock up on school supplies like spell books and wands. Today if you wander down the market’s Bull’s Head Passage you may recognize the blue door of an optics shop (an empty storefront at the time of shooting) as the entrance to the Leaky Cauldron in Goblet of Fire. In the films, the magical Diagon Alley is accessible to wizards and witches from London through the Leaky Cauldron, an assuming pub wedged next to a record store. If only that were true for us Muggles. Harry Potter fans know: the best way to get to Hogwarts is aboard the Hogwarts Express, which dutifully awaits students of the prestigious wizarding school at Platform 9 3/4 at the start of each term. Reaching the platform, of course, is an adventure in itself; magical blood and nerves of steel are required in order to pass through what appears to be a solid brick barrier to where the platform is located on the other side. Details of Platform 9 3/4 were made public by the 1997 publication of Harry Potter and the Philosopher’s Stone, the debut novel of J. K. Rowling’s phenomenally popular Harry Potter series. Kings Cross station reappeared several times throughout the series, serving as the setting for some of the most pivotal moments, and the station was later used as a shooting location in the Harry Potter films. 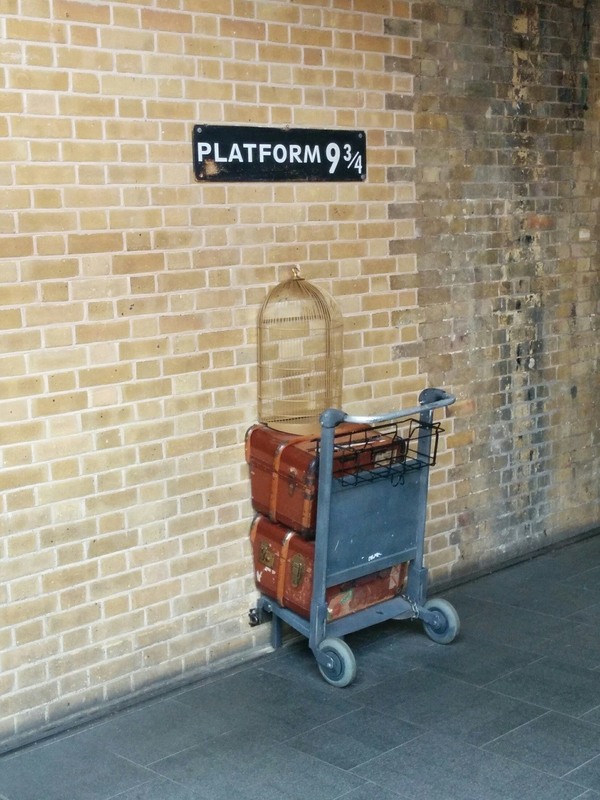 For several years now, Kings Cross has celebrated its role in the beloved books with a marker indicating the location of Platform 9 3/4, below which a baggage trolly can be seen disappearing into the bewitched barrier. Construction on Kings Cross Station between 2005 and 2012, however, made the magical platform even more elusive than usual, shuffling the marker and accompanying trolly to various locations around the station several times, at one point relegating it to an alcove outside. In 2012 it was announced that the attraction had finally found a permanent home in the New Western Departures Concourse, nestled between Platforms 9 and 10, right where you would expect it. Important to note: for muggles, the barrier remains quite solid, and Potter fans are advised against attempting to cross it. 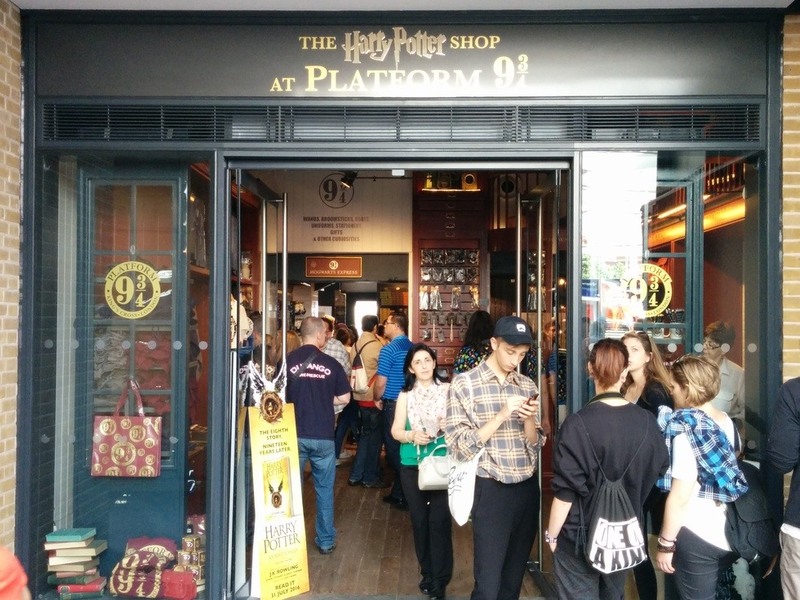 Easily found within King’s Cross Station, but allow plenty of time if you wish to wait in line to pose with the magical trolley, or visit the adjacent Harry Potter Shop, especially during the high tourist season. 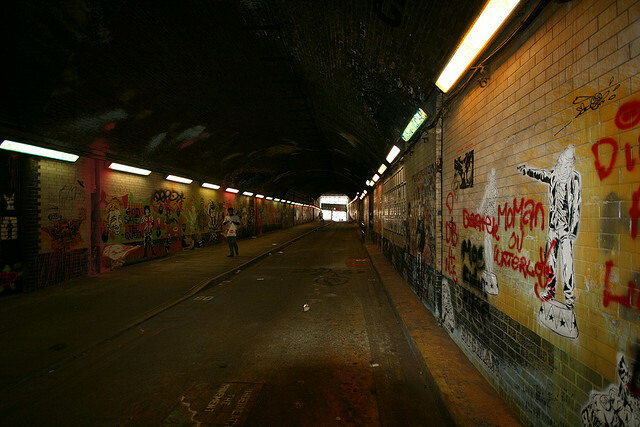 In May, 2008, renowned street artist Banksy held the first Cans Festival in the Leake Street Tunnel. The play on the famous French film festival was a debut of the works of 29 famous street artists invited personally by Banksy, including one of the godfathers of stencil art, Blek le Rat. 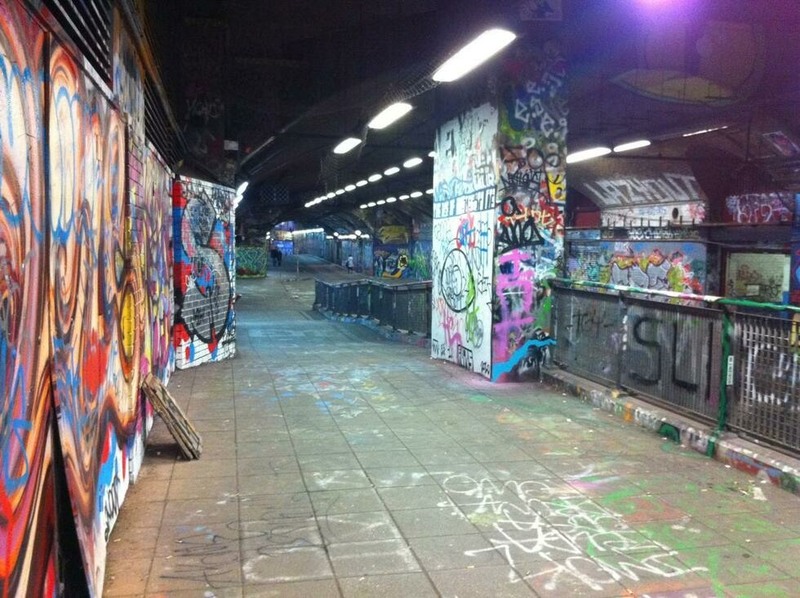 Each artist began spraying down a section of wall with their own personal style, showcasing their work and starting a trend that changed Leake Street forever. Only six months after the festival, the road under the former Eurostar station passed into the control of Network Rail and the tunnel was made pedestrian only. Since that time, it has remained a hands-off graffiti area, where artists can show their work without arrest. Everyday, artists work calmly and without fear as they decorate the walls and the ceiling with vivid color, designs and tags, creating a magnificent urban art gallery beneath Waterloo station. The church of St.Dunstan-in-the-East has survived a lot during its 900-year history, including the Great Fire of London in 1666. An English parish church located halfway between the Tower of London and the London Bridge, it was originally built during Saxon times. Although the Great Fire caused terrible damage to the church it was faithfully rebuilt, and topped with a steeple designed by Sir Christopher Wren. But in 1941, the church was devastated by the Blitz. A direct hit destroyed everything apart from the north and south walls, and Wren’s steeple. The threat of German invasion of the United Kingdom had ended with the Battle of Britain a year earlier, but the sustained strategic bombing of the UK continued. By 1941, the Blitz was reaching its terrible crescendo. Starting on September 7th, 1940, London was bombed for nearly 60 consecutive nights. The night of December 29th saw the most ferocity, as the Luftwaffe blanketed London with bombs in what was called the Second Great Fire of London. By the end of the Blitz, over 1,000,000 London homes were destroyed, including much of the old Saxon church. After the war, with much of London in rubble, the slow rebuilding process began. But St. Dunstan-in-the-East remained in ruins. In 1967, the City of London Corporation decided to turn the bombed out shell of the church into a public garden, which remains to this day. Hidden away on a secluded side street, and long since dwarfed by the modern steel and chrome structures of the city, it remains one of London’s secret gardens. One of the last Blitz-damaged buildings left in the United Kingdom, overgrown with trees, ivy, and wall climbing flowers growing amongst the ruined arches, it’s a poignant living memorial to the horrors of the Blitz and a testament to the resilience of the City of London which survived it. The worlds largest nations, measured in square kilometers of land area. From Cape Horn all the way to the Arctic Circle, the world’s largest countries provide a beautiful snapshot of the variety of geography, climate and wildlife on the planet. Collectively, the world’s largest countries contain rainforest and tundra, mountains and valleys, coastline and desert. As this we explore the largest nations, we visit five different continents, some of the world’s most spectacular geography, and every type of climate imaginable. Excitingly, it’s always changing, too: history has taught that geopolitical boundaries shift dramatically as centuries pass. In the next decades, who’s to say which countries will become the world’s largest? When 11.5 percent of all the land in the entire world is claimed by just one country, it’s not surprising to learn that the tenth largest country (Algeria) could fit into the largest (Russia) seven times over. When all 10 of the world’s largest countries are taken together, they total 49% of the earth’s entire 149 million square kilometres of land. Algeria, at 2.38 million square kilometers, is the tenth-largest country in the world by area and the only African country in the top 10. Situated in Northern Africa, Algeria has a Mediterranean coastline 998 km long. 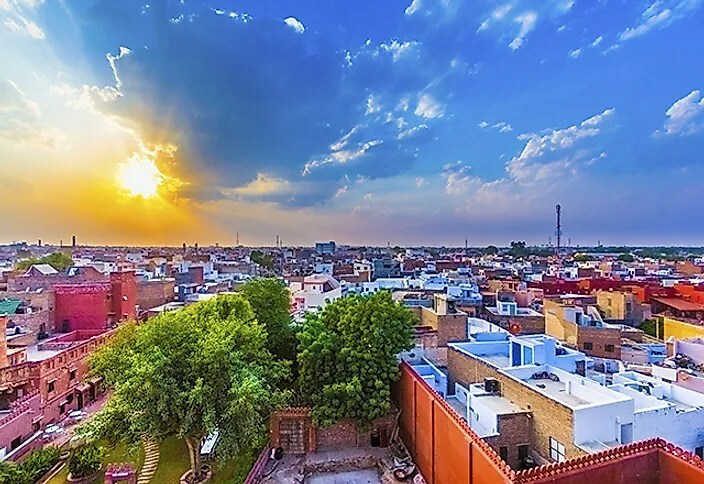 90 percent of the country is desert, and much of its desert regions are highly elevated. The Tell Atlas mountain range runs along the country’s northern border, while the interior, much of it hundreds of meters above sea level, contains the Algerian portion of the Sahara desert. 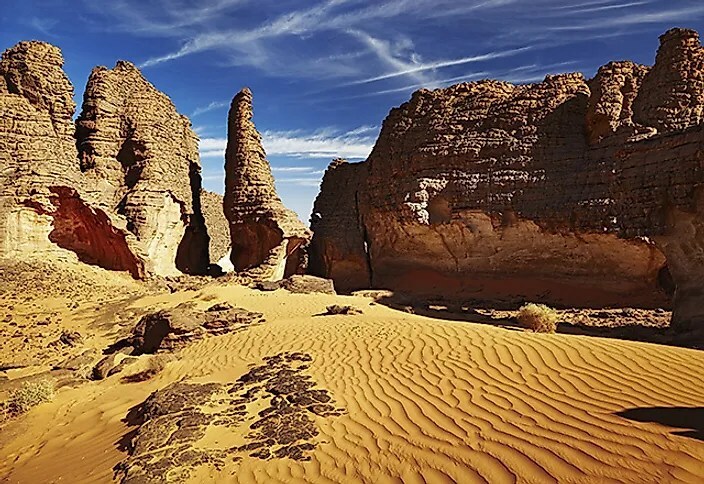 The massive Algerian Sahara extends all the way to the south of the country past its borders with Niger and Mali. Kazakhstan’s 2.72 million square kilometers stretch over vast plains and highlands. A cool and dry, but not quite desert-like, climate prevails for most of the year. Kazakhstanis experience a great range of temperatures throughout the year, though it doesn’t get as cold in Kazakhstan as it does in parts of its northern neighbor, Russia. 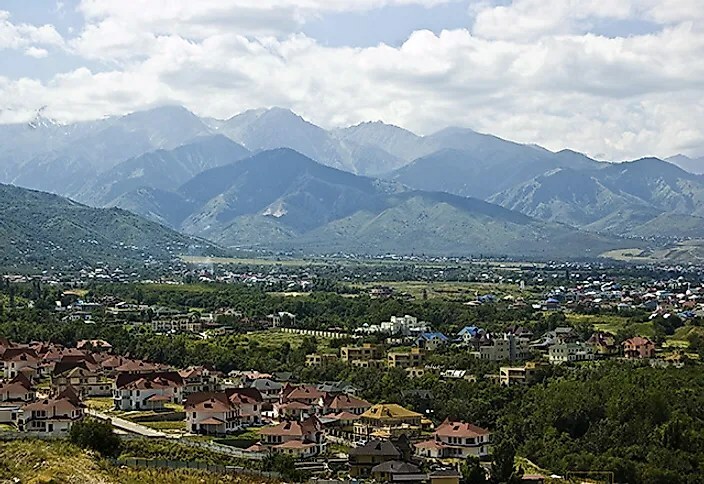 Formerly part of the USSR, the largest nation in the world for most of the 20th century, Kazakhstan’s current main claim to fame is its status as the largest landlocked country in the world—and the only landlocked country in the top 10. Argentina, the world’s 32nd most populous country, is the world’s eighth largest, and the largest Spanish-speaking nation in the world by area. Its 2.78 million square kilometers include some of the most varied geography and climate in the world. Swampy, tropical conditions in the very north give way to freezing glacial regions in the south. 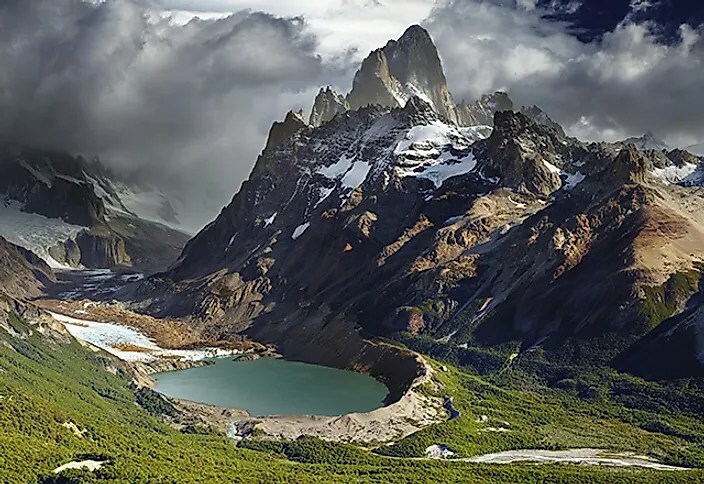 Patagonia, one of the most spectacular and dangerous places on the planet, stretches from the southern Andes in the west to the Atlantic Ocean in the east. The southern tip of Argentina, known as Cape Horn, is one of the stormiest locations on the globe. India’s boundaries have changed quite a few times over the past century, and even still, India claims that the northern region of Kashmir (an area disputed with Pakistan) belongs under Indian control completely. As it stands, without Kashmir, India’s territory stretches for 3.29 million square kilometers. 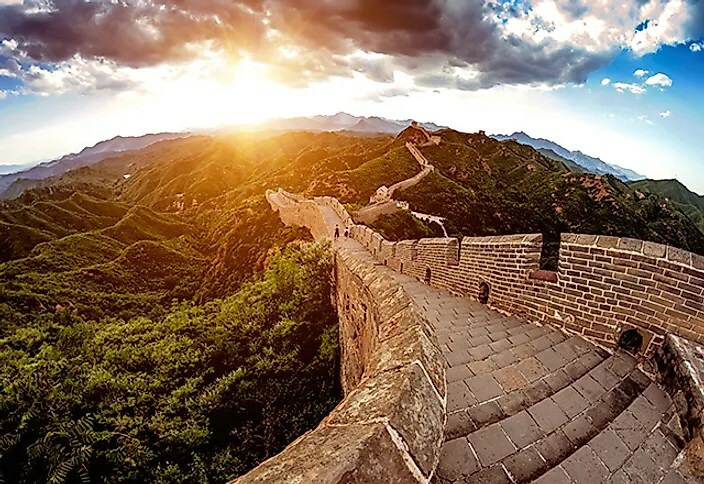 China, Pakistan, Bangladesh and Nepal each share a border with India, and its geography ranges from the majestic Himalayan Mountains to the tropical shores of the southern peninsula. Geologically, India is found on it’s own subcontinent, and geological studies show that this whole nation and it’s close neighbours were at one time separated from Asia by a sea. The approximately 4.4 million square kilometer difference between Australia and India represents the second-largest size difference between countries ranked consecutively in the top 10. Australia, at around 7.69 million square kilometers, is over twice the size of India. It’s the largest country in Oceania by far. Technically it is so large that it doesn’t even qualify as an island, it is a continental landmass. 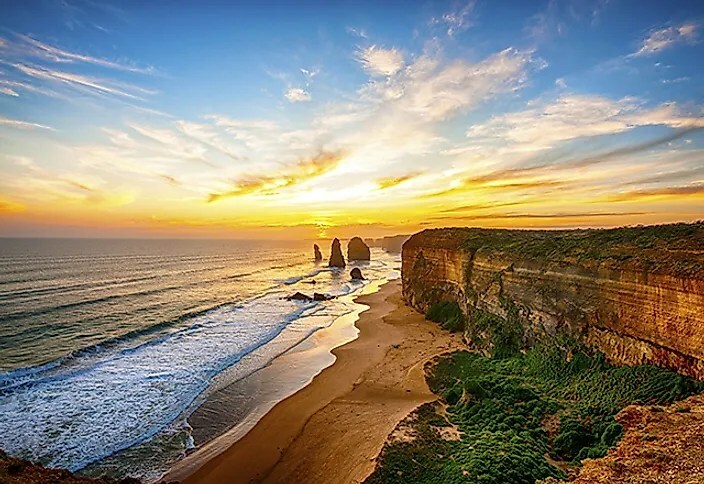 The vast majority of its population live in coastal cities like Sydney in the east and Perth in the west, and with good reason: the Australian Outback is one of the world’s driest and hottest regions. Along with extreme climate and geography, Australia is known for its spectacular—and often deadly—wildlife. 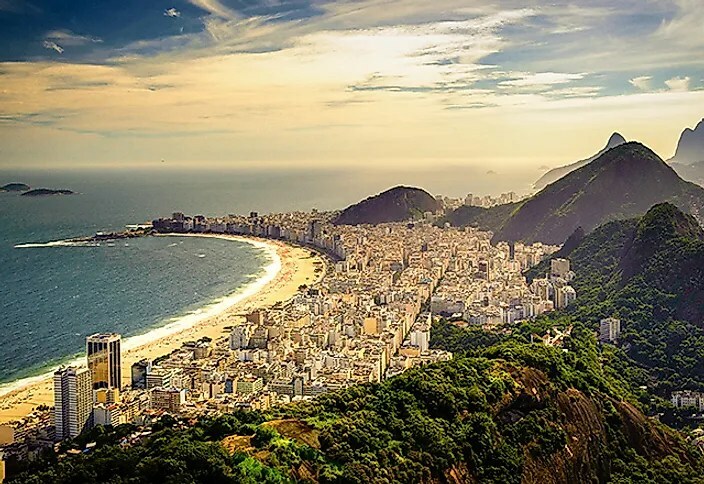 The largest country in South America at over 8.51 million square kilometers, Brazil plays home to much of the world’s largest rainforest, the Amazon. The Amazon is so dense and vast that explorers and scientists have found human civilizations within—small tribes—that had never made contact with the outside world. Even still, these same experts believe there may be more undiscovered tribes living there unfound still. Brazil also has a lengthy Atlantic coastline on the eastern side, which stretches approximately 8,000 km. Most of its major cities, including Rio de Janeiro and São Paulo, were built along this coastline, detouring the thick Amazon jungle. China, the United States of America, and Canada each occupy just under seven percent of the globe’s surface. Of these three, China is the smallest—just barely—at approximately 9.6 million square kilometers. It shares a border with 14 different countries, including Afghanistan to the east, Russia to the north, and Vietnam to the south. Its climate and its people vary dramatically. In the north, temperatures drop to subarctic levels, the center of the nation holds the Gobi, the world’s 4th largest desert, and in the south temperatures reach tropical levels regularly. With over 1.35 billion citizens, China is home to 56 recognized ethnic groups, has the world’s 18th largest Muslim population, the 19th largest Christian population, and with 1.9 doctors per 1000 people, China has more doctors than the entire population of Qatar. The United States, just bigger than China but slightly smaller than Canada, occupies 9.63 million square kilometers. Bordered by Mexico to the south, and Canada to the north, the United States is home to a diverse array of geography and wildlife. Two North-South features split the nation into three distinct pieces. West of the Rocky Mountains, the Pacific states are known for year round temperate weather and long expanses of beach along the California coast. 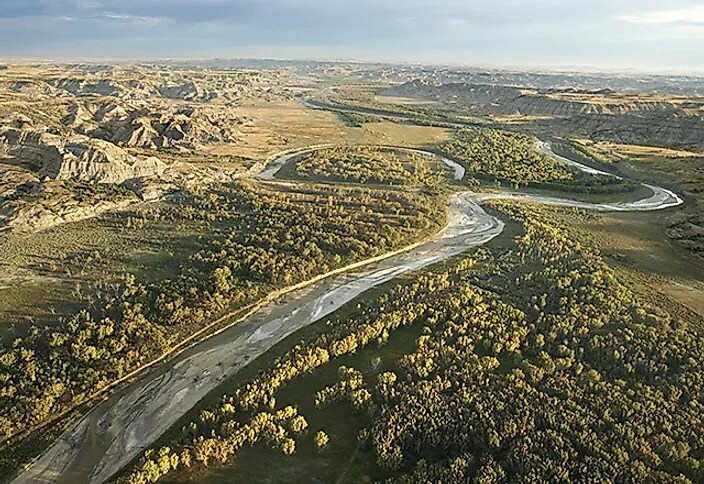 Sandwiched between the Rockies and the Mississippi River, the great plains stretch from Canada to Mexico, giving the United States one of the world’s most fertile growing areas. Lastly, the third of the nation east of the Mississippi is the industrial and economic hub of America, with major cities spread all along the Eastern seaboard. 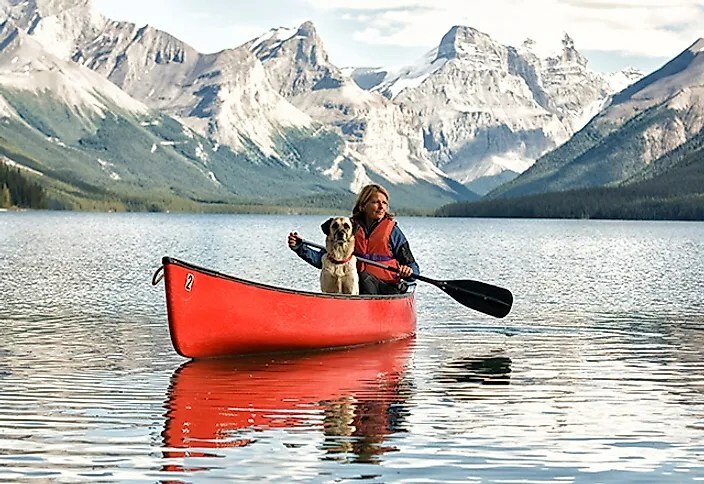 Canada’s 9.984 million square kilometers make it the largest country in the western hemisphere, and its 202,080 kilometer coastline means that it has a longer shoreline than any other nation. With a population density of 4 people per square kilometer, this means that each of Canada’s 35 million people could have 61 acres for themselves. Positioned between the Arctic and the United States, Canada’s massive frozen tundra extends into the Arctic Circle. Split similar to the USA; in the western half of the country, the Rocky Mountains run north to south, and prairies provide huge grain and canola growing areas. Eastern Canada is the traditional heart of the nation, with Toronto, Montreal, and the national capital of Ottawa, all located in the East. Russia’s 17.1 million square kilometres easily make it the world’s largest by area. In fact, if Russia were to lop off 7 million square kilometers, it would still be the largest—and the lopped-off section would rank seventh overall! Like China, Russia borders 14 different countries. Unlike China, none of Russia is tropical, though humid summers prevail in much of southern Russia. The Taiga, the world’s largest terrestrial biome, extends all the way from Eastern Canada throughout the vast majority of northern Russia. Massive oil reserves exist underneath Russia’s frozen forests and tundra; however, due to the expense and difficulty of extracting it, much of Russia’s oil wealth remains untapped. Valentine’s Day, also called Saint Valentine’s Day or the Feast of Saint Valentine, is an annual holiday celebrated on February 14. It originated as a Western Christian liturgical feast day honoring one or more early saints named Valentinus, and is recognized as a significant cultural and commercial celebration in many regions around the world, although it is not a public holiday in any country. Several martyrdom stories associated with the various Valentines that were connected to February 14 were added to later martyrologies, including a popular hagiographical account of Saint Valentine of Rome which indicated he was imprisoned for performing weddings for soldiers who were forbidden to marry and for ministering to Christians, who were persecuted under the Roman Empire. 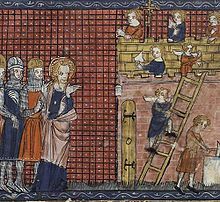 According to legend, during his imprisonment, Saint Valentine healed the daughter of his jailer, Asterius, and before his execution, he wrote her a letter signed “Your Valentine” as a farewell. The day first became associated with romantic love within the circle of Geoffrey Chaucer in the 14th century, when the tradition of courtly love flourished. In 18th-century England, it evolved into an occasion in which lovers expressed their love for each other by presenting flowers, offering confectionery, and sending greeting cards (known as “valentines“). In Europe, Saint Valentine’s Keys are given to lovers “as a romantic symbol and an invitation to unlock the giver’s heart”, as well as to children, in order to ward off epilepsy (called Saint Valentine’s Malady). 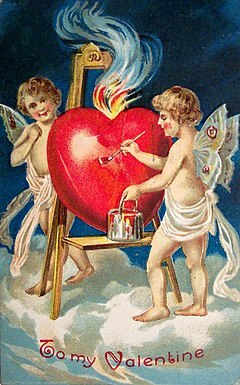 Valentine’s Day symbols that are used today include the heart-shaped outline, doves, and the figure of the winged Cupid. Since the 19th century, handwritten valentines have given way to mass-produced greeting cards. Saint Valentine’s Day is an official feast day in the Anglican Communion, as well as in the Lutheran Church. Many parts of the Eastern Orthodox Church also celebrate Saint Valentine’s Day, albeit on July 6 and July 30, the former date in honor of the Roman presbyter Saint Valentine, and the latter date in honor of Hieromartyr Valentine, the Bishop of Interamna (modern Terni). Numerous early Christian martyrs were named Valentine. The Valentines honored on February 14 are Valentine of Rome (Valentinus presb. m. Romae) and Valentine of Terni (Valentinus ep. Interamnensis m. Romae). Valentine of Rome was a priest in Rome who was martyred in 269 and was added to the calendar of saints by Pope Galesius in 496 and was buried on the Via Flaminia. The relics of Saint Valentine were kept in the Church and Catacombs of San Valentino in Rome, which “remained an important pilgrim site throughout the Middle Ages until the relics of St. Valentine were transferred to the church of Santa Prassede during the pontificate of Nicholas IV“.The flower-crowned skull of Saint Valentine is exhibited in the Basilica of Santa Maria in Cosmedin, Rome. Other relics are found at Whitefriar Street Carmelite Church in Dublin, Ireland. Valentine of Terni became bishop of Interamna (modern Terni) and is said to have been martyred during the persecution under Emperor Aurelian in 273. He is buried on the Via Flaminia, but in a different location from Valentine of Rome. His relics are at the Basilica of Saint Valentine in Terni (Basilica di San Valentino). Jack B. Oruch states that “abstracts of the acts of the two saints were in nearly every church and monastery of Europe.” The Catholic Encyclopedia also speaks of a third saint named Valentine who was mentioned in early martyrologies under date of February 14. He was martyred in Africa with a number of companions, but nothing more is known about him. Saint Valentine’s head was preserved in the abbey of New Minster, Winchester, and venerated. The feast day is still celebrated in Balzan (Malta) where relics of the saint are claimed to be found, and also throughout the world by Traditionalist Catholics who follow the older, pre-Second Vatican Council calendar. In the Eastern Orthodox Church, St. Valentine is recognized on July 6, in which Saint Valentine, the Roman presbyter, is honoured; in addition, the Eastern Orthodox Church observes the feast of Hieromartyr Valentine, Bishop of Interamna, on July 30. J.C. Cooper, in The Dictionary of Christianity, writes that Saint Valentine was “a priest of Rome who was imprisoned for succouring persecuted Christians.” Contemporary records of Saint Valentine were most probably destroyed during this Diocletianic Persecution in the early 4th century. In the 5th or 6th century, a work called Passio Marii et Marthae published a story of martyrdom for Saint Valentine of Rome, perhaps by borrowing tortures that happened to other saints, as was usual in the literature of that period. The same events are also found in Bede’s Martyrology, which was compiled in the 8th century. It states that Saint Valentine was persecuted as a Christian and interrogated by Roman Emperor Claudius II in person. Claudius was impressed by Valentine and had a discussion with him, attempting to get him to convert to Roman paganism in order to save his life. Valentine refused and tried to convert Claudius to Christianity instead. Because of this, he was executed. Before his execution, he is reported to have performed a miracle by healing Julia, the blind daughter of his jailer Asterius. The jailer’s daughter and his forty-six member household (family members and servants) came to believe in Jesus and were baptized. A later Passio repeated the legend, adding that Pope Julius I built a church over his sepulchre (it is a confusion with a 4th-century tribune called Valentino who donated land to build a church at a time when Julius was a Pope). The legend was picked up as fact by later martyrologies, starting by Bede‘s martyrology in the 8th century. It was repeated in the 13th century, in The Golden Legend. There is an additional embellishment to The Golden Legend, which according to Henry Ansgar Kelly, was added centuries later, and widely repeated. On the evening before Valentine was to be executed, he is supposed to have written the first “valentine” card himself, addressed to the daughter of his jailer Asterius, who was no longer blind, signing as “Your Valentine.” The expression “From your Valentine” was later adopted by modern Valentine letters. This legend has been published by both American Greetings and The History Channel. Another embellishment suggests that Saint Valentine performed clandestine Christian weddings for soldiers who were forbidden to marry. The Roman Emperor Claudius II supposedly forbade this in order to grow his army, believing that married men did not make for good soldiers. However, George Monger writes that this marriage ban was never issued and that Claudius II told his soldiers to take two or three women for themselves after his victory over the Goths. 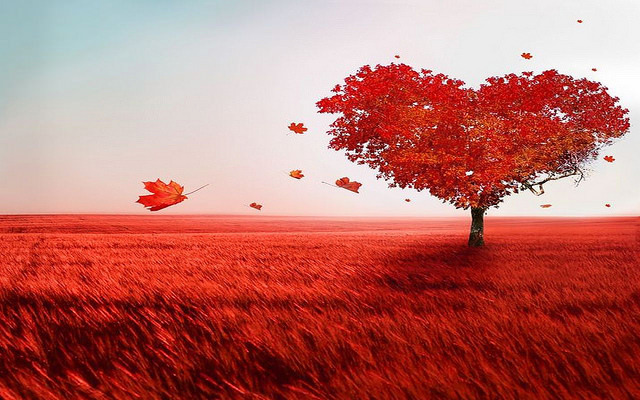 According to legend, in order “to remind these men of their vows and God’s love, Saint Valentine is said to have cut hearts from parchment”, giving them to these soldiers and persecuted Christians, a possible origin of the widespread use of hearts on St. Valentine’s Day. Saint Valentine supposedly wore a purple amethyst ring, customarily worn on the hands of Christian bishops with an image of Cupid engraved in it, a recognizable symbol associated with love that was legal under the Roman Empire; Roman soldiers would recognize the ring and ask him to perform marriage for them. Probably due to the association with Saint Valentine, amethyst has become the birthstone of February, which is thought to attract love. 50 Free Things to do in the United Kingdom…. Vacation fun in the UK doesn’t have to cost a bundle. In fact, it doesn’t have to cost a penny, as these 50 free things to do demonstrate. All of Britain’s national museums – not just the ones in London – are free for everyone, every day. There’s free access to most of the countryside too – for recreation, birdwatching, kite flying, you name it. These 50 ideas and resources should steer you toward more than enough activities to fill a long vacation or loads of fine days out. Take public transportation and you won’t even have to worry about the cost of petrol. This Roman Fort once housed the garrison that guarded the entrance to the Tyne. Based on excavations and finds from the site, this is an exciting reconstruction of an unusual aspect of Roman life. Arbeia means Arab in Latin. The Romans thought nothing of moving legions of their soldiers where ever they were needed in the Empire. This garrison was manned by Iraqi legionnaires. Check the museum’s calendar and time your visit for a candlelight tour in December to celebrate the Roman festival of Saturnalia. Open: Easter hrough October – In 2016, Arbeia reopens March 24. Hours: Monday to Saturday 10a.m. to 5:30p.m., Sunday 1p.m. to 5p.m., November through March – closed except for pre-arranged school groups. Arthur’s Seat, an extinct volcano, is one of Edinburgh’s seven hills. It’s a hefty hike to the top but not beyond the reach of most reasonably fit adults and children. And the views from the top, take in Edinburgh Castle, the sea, the distant mountains of the Western Highlands and the entire city. If you don’t to climb, there’s a bus that goes up into Holyrood Park pretty much all the way to the top. But that costs a little bit of money so not entirely in the spirit of the free thing to do. The United Kingdom has some of the world’s most beautiful beaches. That shouldn’t seem so surprising. After all Britain is an island kingdom with nearly 7,800 miles of coast. Nowhere in the entire country is more than two hours from a beach.These are not the sort of beaches where you can bask in the sun (not very often, anyway) or spend hours swimming warm seas. The water, even on UK beaches washed by the Gulf Stream is pretty chilly. But what the UK’s beaches lack in tropical charm, they more than make up for in sheer drama. For walking, surfing, exploring, wildlife watching, these are some of the most beautiful and isolated free beaches in the world. Open: daily, 9:30 am to 4:30 pm, Underground Tours between 10a.m. and 3 pm. Birmingham was one of the manufacturing engines of 19th century Britain. Wealthy Victorian industrialists endowed their city with art and culture. The 120 year old Birmingham Museum and Art Gallery, known locally as BMag, is a reminder of their generosity. The museum’s collections range from Renaissance paintings to 9,000 year old Middle Eastern treasures. BMag is best known for its outstanding collection of Pre-Raphaelite paintings. One of the largest collections of this once radical school of art in the world, the collection is now searchable online. Open: Everyday except December 25,26 and January 1; Monday to Thursday, Saturday and Sunday 10a.m. to 5p.m., Friday from 10:30a.m. St. Edmund, King of East Anglia, was martyred by Danish Vikings and (before St. George) was patron saint of England. His shrine, in Bury St Edmunds, was a place of pilgrimage. Not much is left of the Abbey that housed the shrine, but enough remains to give you an idea of what an important medieval town this was. Besides the ruins of the Abbey, there are a number of interesting medieval buildings and landmarks that make a visit here well worthwhile. And, if you can’t stay away from shops, the window shopping and browsing here can be very satisfying — and free. Stroll in the Abbey Gardens to watch a typical English game of lawn bowls. The first time I visited England, I happened upon this ancient stone circle high up in the Lake District near Keswick. A half dozen elderly ladies had set up easels and were painting the scene. A single cow noisily ripped at the grass, occasionally licking their oil paintings, while they twittered “Shoo, Bossy.” The view of snow-capped Helvellyn and High Seat was unforgettable. The circle, of 33 stones, was erected about 3,000 years ago. Open: In delightfully English fashion, English Heritage, who manage the site, say that it is open “At any reasonable time during daylight hours”. He might be thousands of year’s old, or he might be a 17th century political cartoon carved into the chalk hillside – no one is quite sure. He was buried in grass during WWII to prevent him from becoming a landmark for the Luftwaffe. Apparently, when he was uncovered after the war, he grew a little. Chester, or Deva as it was known in Roman times, was an important Roman city, not far from Hadrians Wall. It’s Roman history is regularly uncovered during construction and road building works. The city’s Roman Garden, between Pepper Street and the River Dee, were created in the 1950s to display fragmentary finds from the 19th century. It’s a pleasant walk in good weather and among the remains you can see carved fragments of military buildings, including the main baths. The medieval tradition of the Town Crier lives on in Chester. It’s the only place in Britain where a town crier still delivers a daily proclamation at a fixed time and place. If you are in Chester during the months of June, July and August, make your way to the High Cross, at the pedestrianized intersection of the city’s four main streets where proclamations have been taking place since the Middle Ages. There, Chester’s official Town Criers, David and Julie Mitchell, proclaim the day’s “important news” while costumed in traditional 17th century dress. Proclamations take place Tuesday through Saturday at noon (11 am on Chester race days). The Christmas Eve Carol service held at King’s College Chapel in Cambridge England, known as the Festival of Nine Lessons and Carols has been broadcast by the BBC World Service since the 1930s and is one of the most famous carol services in the world. Millions of recordings of this choir singing these carols – on CDs, tapes and LPs – are in family collections around the world. All you have to do to attend is show up – very, very early – and stand in line. Most of the famous British Cathedrals have free Carol services – though you may have to book the free tickets in advance. England is dotted with small, very old parish churches. Often, because they were in unimportant hamlets, they escaped the ravages of the Reformation in England. Unlike early abbeys and cathedrals which were sacked, they’ve frequently remained almost exactly as they were in the 12th century or earlier. Little St. John the Evangelist Church, in Bury, West Sussex, for example, has a 12th century spire and nave and a 14th century rood screen. Another worth visiting, St Botolph’s in Hardham, dates from 1050 – before William the Conqueror – and has some of England’s earliest and most complete medieval wall paintings. If a church looks old, simple and small, step inside to have a look. You’d be surprised at the treasures you might find. Many of England’s cities have free parks that are more than simply green spaces. London’s Richmond Park is 2,500 acres on the edge of the city with two magnificent herds of deer – 700 fallow and red deer, a stunning azaelea and rhododendron garden – the Isabella Plantation, secret woodlands and glades and a tea house overlooking the whole of London. The Sheffield Botanical Gardens, 19 acres of free gardens in the middle of the city, contain some of the earliest curvilinear glass pavillions ever built. These Grade II* glasshouses were recently restored and reopened by the Prince of Wales in 2003. York’s Museum Gardens hold the ruins of a 900 year old Benedictine abbey, a Roman fortress, a medieval hospital and more. When you arrive at an English city or large town, make a point of checking out the main parks. You may be surprised at the treasure to be found. Leeds International Concert Season includes free Monday lunchtime concerts at the Town Hall and Wednesday lunchtime chamber music at Leeds College of Music. Just enter “lunchtime” in the website’s search box to find them. The National Trust and English Heritage provide cycle route directions to almost all the sites they manage. For many, the only charge levied is for car parking – cycle in for free. Lots of people cycle regularly in the UK and the number of cycle paths, mountain biking trails and long distance cycle routes grows by the day. Look at the Forestry Commission and individual National Parks websites for information about cycle routes and mountain biking trails. The National Cycle Network keeps track of 10,000 miles of traffic free routes around the country. The cycling charity Sustrans has an online route mapper and other useful free cycling information. Duxford Chapel is a virtually complete 14th century chapel in Cambridgeshire. It may have originally served as a hospital. It’s history and origins are shrouded in mystery but it may have been the center of a small hamlet as early as the 13th century. By the 19th century, it had fallen into such disrepair and neglect that advertising posters were pasted to its sides. Miraculously, the medieval bones of the building survived, including apparently ecclesiastic windows. It’s an unusual and attractive survivor, cared for by English Heritage. Most of the famous cathedrals in Britain charge entrance fees for upkeep and maintenance. You can attend during worship services for free, however. The only expense will be what your conscience dictates you deposit in the collection box.Evensong, a short, usually sung service at about 5:30 or 6p.m. is a good one to try. Usually the time will be posted on a notice board outside the church. Eyam, a Derbyshire village in the Peak District, is the site of one of the most courageous stories of the 17th century. In 1665 the plague arrived in Eyam (pronounced eem), probably on second hand clothes from London delivered to a local tailor. On the advice of their vicar and their Puritan minister, the villagers voluntarily quarantined themselves to prevent the spread of the disease. Exact numbers of survivors are disputed but when the first outsiders visited the village a year later, only a quarter of the population remained.Villagers buried their own dead and at the smallest National Trust site, the Riley Graves, farmer and survivor Elizabeth Hancock buried her husband and six sons, all of whom died within weeks of each other. Selfridges has a packed schedule of events in its branches throughout the year. When you visit their website, click on the specific store branch you want to visit. Then look for News and Events near the bottom of that page. Liberty Has occasional special events. Get on their mailing list by entering your email in the lower right and signing up for Liberty News. Bicester Village The popular designer discount center near Oxford has something going on almost all the time. Visit their website to sign up for alerts. This lovely 16th century thatched cottage, in Suffolk, inspired painter John Constable and was the location of some of his famous paintings of English rural landscapes. The cottage, beside the River Stour now has an exhibition about the artist. It is surrounded by several walks along the Stour and has a riverside tea room. Walk a little further along the path past the cottage and you’ll come to Willy Lott’s cottage. It featured in one of Constable’s most famous paintings, the Hay Wain. Open: May through September, daily, 10:30a.m. to 5:30p.m. and the month of October, daily, 11a.m. to 4p.m. Reduced hours and days of the week at other times. The cottage may close early in bad weather. If in doubt, telephone +44 (0)1206 298260. Entrance is free but there is a £3.50 charge for parking. It’s hard to believe that The Giant’s Causeway on the North coast of County Antrim is not man (or giant) made. The causeway looks like a roadway into the sea. It is made of 40,000 interlocking basalt columns, some more than 12 meters high, produced by an ancient volcanic eruption. The tops of the columns form stepping stones, mostly hexagonal but also with four, five, seven and eight sides, leading from the foot of a cliff into the sea. The Giant’s Causeway was declared a UNESCO World Heritage Site in 1986, and a National Nature Reserve in 1987. Today it is owned and managed by the National Trust. A new museum in Newcastle upon Tyne that combines the collections of several museums of natural and ancient history. Highlights include a large-scale, interactive model of Hadrian’s Wall, objects from the Ancient Greeks and mummies from Ancient Egypt, a planetarium and a life-size T-Rex dinosaur skeleton. The collections also include live animal tanks and aquaria housing wolf fish, pythons, lizards and leaf cutting ants. Open: Year round, Monday to Friday 10am to 5pm, Saturday 10am to 4pm, Sunday 11am to 4pm. Walk in the footsteps of Beatrix Potter, above Lake Windermere, enjoying classic south Lakeland views of the fells, lakes and villages. The site includes a picturesque white-washed village, hill walks and woodland paths alongside Lake Windermere.The Beatrix Potter Gallery, a 17th century solicitors office in Hawkshead, is now home to a collection of original Beatrix Potter watercolor illustrations. There is an admission charge for the gallery – so to keep things entirely free, bring an easel and do your own watercolors of Beatrix Potter’s favorite views. Great Britain is walking country and it’s laced with paths and marked routes. 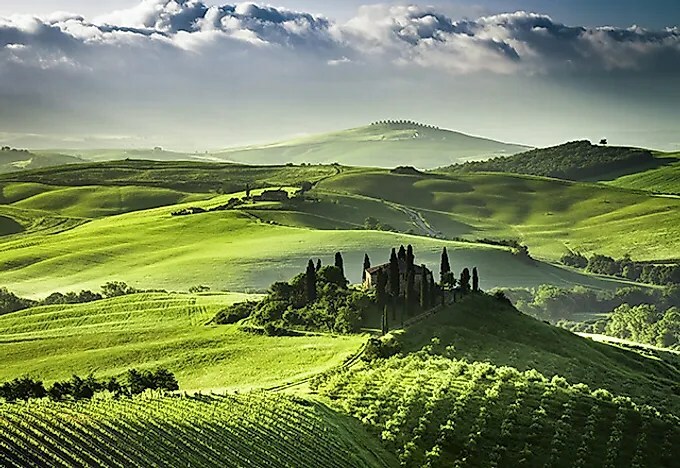 From national hiking trails that traverse through gorgeous countryside for hundreds of miles to strolls through historic cityscapes and fragrant forests, UK walks suit every temperment and level of ability. Whether you prefer a challenging hike in the Lake District, a gentle woodland stroll in a forest park or a discovery filled exploration of a historic cityscape, you can find and map a great walking route. Not all of England’s great country houses are immaculate, furnished restorations. This 17th century mansion is a romantic ruin – a fitting setting for a gothic ghost story. The house, built for a Duchess in about 1615, was said to be the inspiration for the House Beautiful in John Bunyan’s Pilgrim’s Progress. Information panels on the site describe the house, some of which could be the work of Inigo Jones, as well as the estate and views. English Heritage also provide a free, downloadable audio tour. The house is always open until “any reasonable time”. One of Liverpool’s outstanding group of national museums, the The International Slavery Museum opened in 2007 on the 200th anniversary of the abolition of the slave trade in Britain. It explores both the historical and contemporary aspects of slavery, the legacies of the slave trade and untold stories of bravery and rebellion among enslaved people. The museum is part of Liverpool’s Albert Docks UNESCO World Heritage Site and is located just steps away from the drydocks where slave trading ships were repaired and fitted out. Open: Daily 10a.m. to 5p.m. except Christmas, Boxing Day and January 1. Knole is an enormous Tudor house in Kent that has been in the Sackville family since 1566. The roofline alone looks like a small city. No, it’s not free. But the grounds and 1000-acre deer park are free for pedestrians. It is one of the few medieval deer parks to have survived 500 years, and the only one in Kent. A transitional landscape between a medieval game forest and the ornamental parks of the 17th and 18th centuries, survivals of the medieval landscape include hawthorn, oak, yew, hornbeam, silver birch, bird maple and ash trees that once dominated the woodlands of the Weald. The real draw is the herd of 600 fallow deer, wild but curious animals that are incredibly charming. The Wiltshire village of Lacock is a snapshot in time – or it would be if snapshots were possible in the 13th century when some of its buildings were raised. It’s so atmospheric that it’s often used as a film location. If it looks familiar, perhaps you’ve seen in a Harry Potter film, Pride and Prejudice, Cranford, The Other Boleyn Girl or Wolfman. There’s an abbey converted to a country house in the 1500s and a museum about photography – both of which have entry fees. But walking around this time capsule of a village, looking around in the shops and wondering at the fact that modern people actually live here is completely free. The bath house of a Roman staging post on Watling Street in Wall, Staffordshire. Watling Street is the ancient Roman road that runs Southeast to Northwest across England, probably following the path of an ancient British trackway. Letocetum is considered to be the finest excavated site of its kind discovered and includes the foundations of an ancient inn and bath house. Open: The open-air site is open from March to the end of October at any reasonable time. A Roman finds museum is manned by volunteers and is open the last weekend of every month from March to October as well as all Sundays in July and August, from 11am to 4pm. When this simple, thatched Baptist chapel was built against a Devon hillside in 1653, the congregation faced imprisonment or transportation to Australia for practicing a banned faith. The interior of the chapel was fitted out in the 18th century. The chapel, near Axminster, is open 11am to 5pm. Services are held there twice a year and posted on the chapel noticeboard. The maritime history of Britain, navigational and astronomical discoveries and the seafaring deeds that led to voyages of discovery and empire building can all be explored at this wonderful UNESCO World Heritage Site. A visit should include the Royal Observatory – just outside you can stand on the Prime Meridian, or 0 degrees longitude (for a fee). (There is now a charge for entrance to Flamsteed House and the Royal Observatory, where the Prime Meridian Courtyard lies. So if you want to straddle it, admission is charged. However, the wonderful National Maritime Museum is free. The Queen’s House, which has been closed for restorations, will open in July 2016 to celebrate its 400 anniversary.) Then walk through the Greenwich Foot Tunnel one of only two pedestrian tunnels under the Thames, for a fabulous view of the entire site from across the river. Britain’s outdoor and covered markets are a feast for people watching, photo ops and browsing. If you can resist buying anything, they are also free. And it is possible to resist. One of my favorite Saturday morning free outings is Portobello Road Market in London. I go very early, take a sketch pad and mooch around the market, chatting and drawing and not spending a penny. The world’s largest railway museum, with 300 years of rail history, exciting exhibits and iconic objects for families and railroad buffs. Kids can climb aboard some of the world’s most iconic trains – the UK steam engine record setter, The Mallard, a Japanese Bullet Train and a giant locomotive built in Britain for the Chinese railways. There are daily demonstrations of awe inspiring machinery – like the turntable, for turning locomotives, in the Great Hall; Theatre programs about railway history and railroad inventors, and visits from Thomas the Tank Engine during some school vacations. Open: Everyday except December 24-26, 10am to 5pm. In 75AD, the Romans built a fortress in Caerleon, Wales, where they held sway over the local population for 200 years. The National Roman Legion Museum is built within the remains of this fortress. Here you can find out how they lived on the edge of the Roman Empire in one of only three permanent fortresses they created in Britain. There’s a Roman garden, the remains of a barracks and the most complete Roman amphitheatre in the UK. The museum is located in Victorian workshops near the site of the vast Dinorwig quarry that closed in 1969. Here, the Welsh slate industry, often called the most Welsh of Welsh industries, is explained and explored. Talks, demonstrations and exhibitions – including a row of quarrymen’s houses – relate the story of slate and the drama of real people’s lives. Open: From Easter through October, daily 10am to 5pm; November until Easter, 10am to 4pm., closed Saturdays. The beautifully redeveloped Cambrian Mills is the setting for the story of Wales’ wool industry, once the most important and widespread in the country. Shirts and shawls, blankets and bedcovers, woollen stockings and socks were all made in village of Dre-fach Felindre, in the Teifi valley and sent all over the world. Follow the story from Fleece to Fabric, with demonstrations, working looms and interesting exhibits. Open: From 10am to 5pm daily, April through September, and Tuesday-Saturday, October through March. A well-preserved 17th Century half-timbered building, in the middle of Hereford’s modern shopping district. Built in 1621, the house has been a museum since 1929. Furnished in Jacobean period style it has an internationally important collection of English Oak furniture. Don’t miss the rare wall paintings, the four-poster bed, the baby-walkers and the hands on activities for kids. Open: Year round, Tuesday to Saturday 11am to 4pm, Wednesdays from 10am. If you’ve ever wondered how medieval builders raised enormous structures before the advent of steel beams, this huge and beautiful Essex barn will make it all clear. At least 400 oaks went into creating one of the finest surviving medieval barns in England. Tree ring dating has shown it to have been erected in the mid 1400s. The interior aisle and vast open space up to a crown post roof are awe inspiring. Several small buildings designed by British architect Sir Edmund Lutyens. The Queen, heads of state and descentdants of the 25 original barons have planted oaks here over the years.Open: Always open. Car parking closes at dusk. Another of England’s chalk figures, and possibly the oldest one. The Uffington White Horse, is partially visible from several vantage points but only completely visible from the air. Recent testing of soil samples from the base of the chalk trenches has established that the horse is at least 3,000 years old. The same tests showed that the horse is in virtually the same position as when he was built by digging trenches and then filling them with blocks of chalk. No one knows why he was built but the White Horse of Uffington has inspired several other contemporary chalk horse constructions throughout Dorset and the west of England. Today the tree cathedral remains a peaceful place for country walks and walking well behaved dogs. Though not consecrated ground, occasional religious services are held there and the National Trust, which owns the site, is open to applications for more. Open: Park is open every day from dawn to dusk. Car park hours are seasonal so check the website. This is one of Wales most popular heritage attractions as well as one of Europe’s best open air museums. Located on the grounds of St. Fagan’s Castle and Gardens, it’s a 100-acre open air museum with forty buildings that have been relocated from all over Wales. Together they illustrate Welsh culture and daily life from Celtic times to the present. The Castle itself is an Elizabethan manor house built in 1580, though heavily remodeled in the 19th century. Around the park, the practice of traditional crafts and activities as well as the rearing of native breeds of farm animals bring Welsh culture through the centuries to vivid life. Open: Every day, year round, 10am to 5pm. All the UK’s national museums are free. To make the experience of visiting them even more memorable, take along a sketch pad and capture really personal memories. Most of the museums are happy to let you sketch and draw in most of the rooms – except those that have rare and exposed paper or textiles. At the Victoria and Albert they even provide neat little foldaway stools for artists to sit on while they work. As long as you don’t touch the artworks, lean against displays or block other people’s views, you can spend as long as you like sketching away like a 19th century aristo on the grand tour. Camp “lighweight”- ie in small numbers and for not more than two or three nights in one place. Don’t camp in enclosed fields of crops or farms animals. Avoid disturbing deer stalking or grouse shooting. Clear all trash, fires or pollutants. Avebury Stone Circles The largest stone circle in Europe, the center of a huge, prehistoric complex and erected about 4,500 years ago. The landscape is part of the UNESCO World Heritage Site that also includes Stonehenge. Silbury Hill An enormous prehistoric mound, covering five acres and 130 feet high. It was probably built around 2,500 BC. West Kennett Long Barrow One of the largest Neolithic chambers in Britain, this burial place was built about 5,400 years ago. The Free Woolwich Ferry Service crosses the Thames between Woolwich and North Woolwich ( part of Greenwich, east of London). The current service, which carries pedestrians, cyclists, cars and trucks, has been operating since the 1880s – but there has been a ferry service at this point of the Thames since about 1308. During the week, two ferries run, with services leaving at 10 minute intervals from each side. It’s a rough, workaday sort of boat with no frills for foot passengers, but you won’t get a better view of Canary Wharf, the Millennium Dome or the Thames Barrier.Word of advice though – if you are driving, avoid peak periods and rush hours because you might have to wait quite a while for your free ride. The park is dog-friendly (except for the indoor galleries and garden) and, best of all, but for a small parking fee, this truly wonderful place is completely free. Special Note – As of January 2016, Allen Banks was closed because of severe flood damage from December storms. 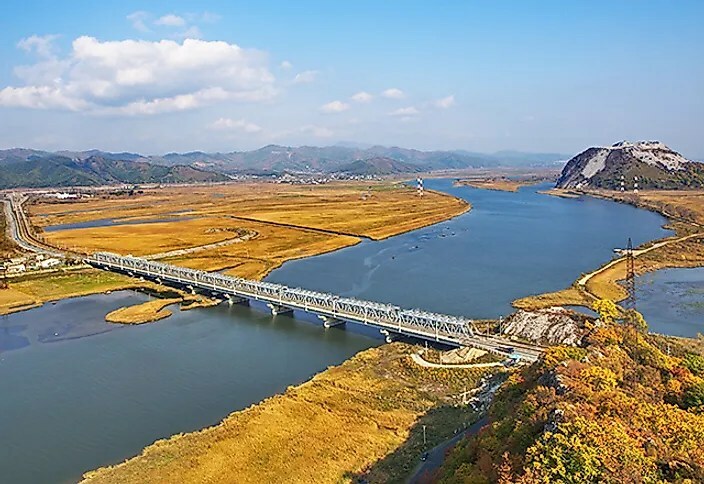 The National Trust reported landslips, uprooted trees, fallen boulders and the loss of the favorite wobbly bridge. They hope to reopen the undamaged paths as soon as possible so check their website before planning a visit. About 101 acres of gorge and river scenery that make up one of the great Victorian wilderness walks. The landscape includes a site of special scientific interest,protected for its rare plants, ancient woodlands and wildlife. There are miles of waymarked walks, a reconstructed Victorian summer house and the remains of a medieval tower. Around, more or less, since the 13th century, Borough Market is stuffed with food-lovers and offers all you need for a memorable grab-and-go breakfast or lunch. One of the top attractions south of the river. Open Thursday to Saturday (go on Saturday to catch the market at its bustling best). Hidden under Waterloo Bridge, the institute features four cinemas (not free) and the fun Mediatheque, where you can peruse film archives and watch for free. Unreal; one of London’s top attractions, and absolutely free. When I was in London, I’d hop in for 20 minutes, peek at the Rosetta Stone, and move on, saving Aztec mosaic masks or the head-smashed ‘Lindow Man’ (a 1st-century unfortunate found in a peat bog in 1984) and seven million other items for another visit. Watch for worthwhile 20- and 50-minute eyeOpener tours offered for free too. The Palace of Westminster, home of ‘Big Ben’ (or Clock Tower), is a neo-Gothic wonder from the mid-19th century. And it’s full of houses: the House of Commons and the House of Lords. Reserve ahead to watch antics during Parliament sessions. Off the radar to most visitors, yet one of the city’s great attractions, this museum offers a walk through London’s various incarnations – from Thames Valley geological history to Anglo-Saxons and 21st-century bankers. Plus there’s a nice cafe in its garden. Its 2000 Western European classics by Van Gogh, Renoir, Leonardo da Vinci, Michelangelo make the National Gallery a serious art stop, with over 5 million people popping into the building on Trafalgar Square each year. Miss the hordes by visiting on weekday mornings or Friday evenings. Any time, it’s all free. Greenwich’s best attraction, this neoclassical building museum gets more interesting and fun the deeper you go in. The focus is on Britain’s seafaring past, including the bullet that felled Horatio Nelson, a replica of Ernest Shackleton’s life boat and plenty of kid-friendly interactive exhibits. Before Google or Wikipedia, the English came here to put a face to the name of a who’s who list in history. Here, a block north of the National Gallery on St Martin’s Pl, you’ll see paintings and sculpture, including Andy Warhol’s take on the Queen. Those Victorians sure liked to collect and catalogue. This is one of the most compelling results, an outrageous collection of things nature in a lovely Gothic Revival building from 1880. A diplodocus dinosaur skeleton watches the entrance. Farther in comes a T-Rex and the Darwin Centre, with 450,000 jars of pickled specimens. A wildlife garden is open April to September only. This wonderful contemporary photo collection in the West End benefits from its two-floor space, where the gallery’s been since 2008. Plus there’s a great cafe. The highly informative and entertaining Science Museum fills seven floors with interactive exhibits. The Energy Hall highlights the first steam locomotives of the early 19th century; big with kids are the third floor exhibits, including old gliders, hot-air balloons and flight simulators. Looking like a 1930s-style tearoom in leafy Kensington Gardens, this gallery is a lovely spot to take in one of London’s most important contemporary art collections, with works by Damien Hirst, Jeff Koons and the like. Loads of natural light pour through huge windows. Each year a new ‘Summer Pavilion’ (May to October) is opened nearby, to host open-air cinema and readings. Soane’s West End home is filled with the early 19th-century architect’s personal effects and curiosities, making up one of London’s most atmospheric and fascinating sights that few know exists. The house is largely as Soane left it upon his death in 1837, from Christopher Wren drawings, a lantern room and slaves’ chains. Aim to go on the first Tuesday of the month, when the home is lit by candles. Not to be confused with St Paul’s Cathedral (a big attraction that comes with a ticket price), this church on the western flank of Covent Garden Piazza is known as the ‘actor’s church‘. The first Punch and Judy show took place in 1662, and there are memorials for Charlie Chaplin and Vivien Leigh, the most famous faux British Confederate of all time. The older half of the Tate duo (the modern bits moved downriver in 2000) is no stodgy sister. Here, permanent works focus on British masterpieces from the 16th to late-20th centuries. Look for one-hour thematic tours and 15-minute talks on painters and paintings, all part of the admission price: nothing. Speaking of which, this mod half of the Tate, hiply set in the Bankside Power Station on the Thames, is one of the city’s most beloved attractions. Special exhibits cost £10 and up, but you can spend much time enjoying its permanent (free) collection of 60,000 works (Pollock, Warhol, Rodin, Matisse), wrapped in uniquely themed exhibits such as ‘Poetry & Dream’ for the surreal. The upstairs cafe has wonderful Thames views, and the building’s amazing. For Da Vinci Code fans this church – with origins dating to the 12th century – is a must-see in London, for its role in a key scene. It’s a distinctive place, built by crusading monks, with a traffic-free oasis of green spaces amidst the buildings in the City. Open since 1852, its 4.5 million objects – like the stunner entry chandelier by Dale Chihuly – make it, very simply, the world’s best decorative arts museum. Make sure you have plenty of time. The first floor focuses on Asian (Japanese swords, ancient Chinese ceramics) and some European art, including plaster casts Michelangelo used for his David. Then there’s a photography collection of half a million images, picked up over the museum’s 160 years. The Ardabil Carpet in the Middle East-focused Jameel Gallery is one of the world’s oldest, dating from Iran in the 1500s. Arguably London’s finest small gallery, and way off the normal map, the collection is an enthralling glimpse into 18th-century aristocratic life, set up in a sumptuous restored Italianate mansion stuffed with 17th- and 18th-century art works. Superb, unless of course you live in such a place already. Home to ten galleries in an art nouveau building first opened in 1899, the Whitechapel Gallery mixes up themed exhibits between established and emerging artists. There are always at least some artworks to see for free. Picasso’s Guernica was first displayed here in 1939. Watch for music, readings and films, or pop into the uber-designed cafe for a break. 1. Take an Alternative London street-art tour. Alternative London runs street-art tours around the ever-changing walls of east London. I’ve taken the tour three times and seen a different collection of art each time. 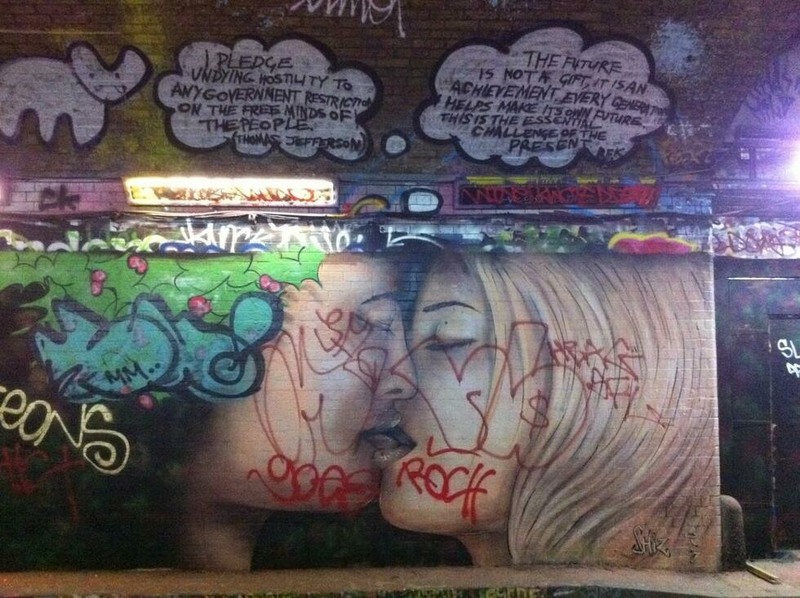 The tour includes an insight into east London history, as well as the history and culture of graffiti and street art. Start and finish near Spitalfields Market, tours leave Monday to Friday at 12pm and 3pm, Tuesday to Thursday at 7pm, and Saturdays at 11am, 12pm, 2pm, 2:30pm & 3pm. They last around two hours, though times may vary, and booking is essential. For those who aren’t fans of walking, Alternative London also offers a bike tour. Alternative to the alternative: Alternative London also runs a pub tour around some of east London’s oldest watering holes. Includes beer. 2. Take a chocolate-making workshop. Paxton Chocolate is a boutique confectioner based in Cheshire Street off Brick Lane, which offers fine handmade chocolates in range of luxury palate-pleasing flavours. It hosts a monthly chocolate making workshop where you’ll learn to make truffles, which you will probably then eat. Tasty. Alternative to the alternative: Head to 69Colebrookerow in Islington for a cocktail-making masterclass. 3. See a sing-along film at the Prince Charles Cinema, Soho. The Prince Charles in Soho is one of London’s finest independent cinemas. One of its most popular events is their regular sing-along screenings of films such as Grease, The Rocky Horror Picture Show, The Sound of Music, Dirty Dancing, and Frozen. I went to the Pitch Perfect Aca-Along last month, and sang my socks off. Great fun. Check the listings for upcoming sing-along events. Alternative to the alternative: Why not make a night of it and attend one of its movie marathons? With Arnie All-nighters, Pixar Pyjama Parties, Scream marathons, and loads more, there’s something for every film fan. 4. Go on a Jack the Ripper tour of Whitechapel. For thrill-seekers, amateur historians, or just the morbidly curious, a Jack the Ripper tour of Whitechapel is a great way to spend a couple of hours immersing yourself in the Ripper legend. Tours start at 7:30pm, seven days a week, and last an hour and 45 minutes. You’ll be taken around the sites of the murders (or the parking structures built on top of them), shown the clues, given the lowdown on the suspects, and left to make your own conclusions about the killer. Alternative to the alternative: Trace the much less murderous footsteps of poet John Keats on the Keats Fleet Walk. 5. See a last-minute West End show. You might think there’s nothing alternative about a West End show, but that depends on how you play the game. On the day, call or visit the website of any of the West End ticket brokers and ask what they have for under £20. There should be seats for at least one show. Take the best seats you’re offered (under £20) and you’ll get a great night of musical or dramatic entertainment for about the same price as a trip to a Leicester Square cinema. You won’t get The Book of Mormon, but whatever you pull out of the lucky dip, you’re bound to enjoy yourself. There’s nothing quite like a trip to the theatre! Alternative to the alternative: See some fringe theatre at The Courtyard in Hoxton. 6. Take a stroll down the South Bank. There is never a dull day or night on the South Bank. Around the regular buskers and skate park residents, there are a host of bars, restaurants and pop-ups, along with regular events and festivals. Check the South Bank Twitter feed for updates. Sure, you can pair a South Bank stroll with a trip to the BFI, Southbank Centre, National Theatre, London Eye, or OXO Tower, but there is usually so much to see and do that it’s a day or night out by itself. Alternative to the alternative: Take the Regent’s Canal walk from Regent’s Park to Camden Lock. 7. Head to the V&A on a Friday night for V&A Lates. The V&A established the trend of curated late-night events in 1999, and hosts an evening on the last Friday of every month except December. The events run from 18:30 to 22:00 and offer free entry on a first come, first served basis, so get there early. The theme of the night changes monthly, celebrating contemporary visual and design culture and includes work by both established and emerging artists. Check the #FridayLates hashtag on Twitter for updates. Alternative to the alternative: Check out the monthly late-night programme at the Natural History Museum. 8. Pick up fresh produce from Hackney City Farm. A working farm in the middle of London, Hackney City Farm is open from 10am to 4.30pm, Tuesday to Sunday. Along with a farm shop full of fresh produce and a host of well-cared-for animals, there are also regular events including pottery classes and a community choir. Head down to grab fresh eggs, or join the vegetable box scheme and collect a box of seasonal fresh vegetables each week. Alternative to the alternative: Head to your local farmers’ market for a fresh produce fix. 9. Get literary at Book Slam. Book Slam is a monthly “literary nightclub”, with each event featuring a different line-up of established and emerging writers who perform poetry and readings. If you love books, alcohol, shenanigans, and spoken-word performance, this is the event for you. Book Slam usually takes place on the last Thursday of the month. Tickets are £7 in advance, and doors open at 18:30. Find them on Facebook and Twitter for updates. Alternative to the alternative: Head down to the Jawdance open mic spoken-word night at Rich Mix in Shoreditch. 10. See a film with cocktails and couches at The Aubin Cinema. Hidden away beneath Wills Ltd on Redchurch Street, Shoreditch, The Aubin Cinema screens a mix of general release and independent fare, with a new limited-edition cocktail each week to enjoy while you relax in the armchairs and sofas. Screenings run at 18:30 and 21:15 seven days a week, with additional screenings at 15:30 on Saturdays and 15:15 on Sundays. In addition, members are invited to see exclusive preview screenings. Follow the Aubin Cinema on Twitter for more info. Alternative to the alternative: Check out The Electric on Portobello Road, The Screen on the Green in Islington, and the Everyman at Belsize Park for more cool indie cinemas. 11. Take a class at The School of Life. Situated near Russell Square, The School of Life offers lectures and events devoted to philosophy, literature, psychology, and the visual arts, with an aim to promote “ideas that will exercise, stimulate and expand your mind”. With classes including “Using mindfulness at work”, “How to be a compassionate leader”, and “Networking for introverts”, there is bound to one that the captures the attention of even the most cynical mind. A great way to remedy the rat-race blues and meet people in the process. Classes vary in price. Alternative to the alternative: Head down to the Friday Lecture at Innerspace in Covent Garden for talks on de-stressing, relationships, and problem-solving. 12. Have a cocktail with The Mayor. The Mayor of Scaredy Cat Town is a speakeasy hidden underneath The Breakfast Club on Artillery Lane, near Spitalfields. Because this is Shoreditch, the entrance to the bar is through a fridge. Like Narnia, but with delicious cocktails. Just ask for “The Mayor”. Alternative to the alternative: Try the Evans & Peel Detective Agency, the Experimental Cocktail Club, or the Nightjar for more speakeasy fun. 13. See a silent film with a live orchestra at the Barbican. The Barbican hosts a series of silent films with live orchestral scores, offering a unique audio-visual experience. Among the films screening soon is Man With a Movie Camera, a 1929 experimental documentary by Russian director Dziga Vertov that was named by Sight and Sound as the best documentary of all time. Alternative to the alternative: Check out the BFI London Film Festival in October. 14. Find the Secret Yoga Club. The Secret Yoga Club curates pop-up yoga events in (secret) spaces around London that include live music and great food. Follow it on Twitter and Facebook for upcoming event info, or just buy a ticket and take the ride. Alternative to the alternative: Take a yoga class on the roof of a car park in Peckham. Remember The Crystal Maze? This is like that, but with less Richard O’Brien, and more being locked in a room with 60 minutes to escape. Working in teams of three to five people, you have to gather clues, solve the puzzles, and escape before your time runs out. There are several rooms to try, and while weekday reservations are easy to come by, you’ll need to book well in advance for evenings or weekends. Alternative to the alternative: Try to find your keys when you need leave the house in a rush. Always a fun game.